Daniel Ricciardo believes his side of the garage is acting ‘too clever’ on race weekends to try and find the ultimate set-up. 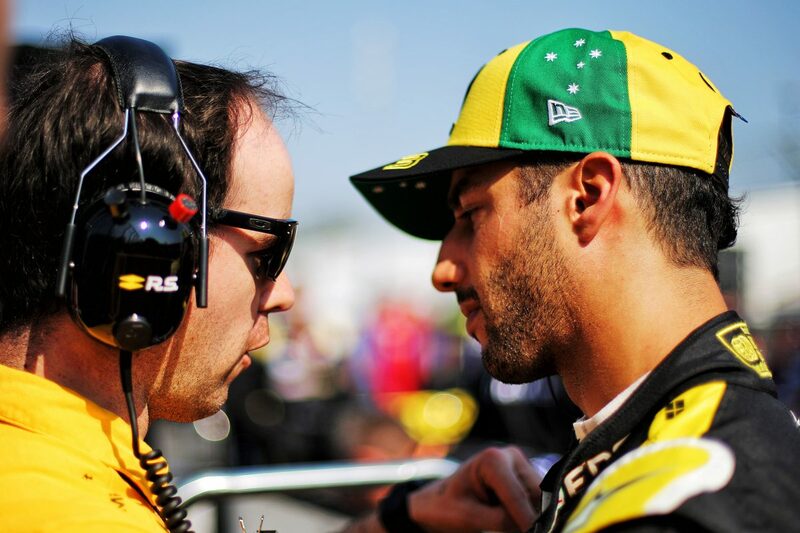 The Australian thinks a more straightforward approach is the answer after an in-depth debrief following the Bahrain Grand Prix where he again failed to make Qualifying 3 and chalked up his second straight DNF with his new Renault outfit. “We got the chance to analyse on the Monday after the (Bahrain) race because we had that day off before the test and sat down with the engineers,” said Ricciardo. “We had a bit of a debrief in a bit of peace of quiet in our own environment, and we kind of maybe established that we are trying to do too much. “I am trying to settle in, and also my engineers are trying to work with me, and I think probably all of us are trying to be too maybe clever as well. “I don’t want to say that because you are always trying to find the limits, but for now we just need to keep a more basic approach, do what we can and do it well – and probably not look for that extra one percent at the moment. The seven-time Grand Prix winner feels rather than hounding for the optimal car set-up throughout the weekend, being more consistent is the answer. “I think it will probably help me out in having a more consistent car throughout the weekend,” Ricciardo added. “And I guess simple things: let the track come to us. And try to have a car that I am comfortable with rather than chasing the perfect car, which is constantly doing this (changing). Ricciardo joyfully pointed out that frustration isn’t starting to get the better of him after his two season-opening DNFs in Australia and Bahrain. “It is trying to figure out what is going to work best and that again can be maybe frustrating at times but I see the excitement in that,” said the 29-year-old. “There have only been two races, but it is already kind of like: is he really struggling and this and that? Drivers will get their first chance to prepare for Sunday’s Chinese Grand Prix when Practice 1 starts today from 1200 AEST.